You sir are a HERO. You cannot be thanked enough! If someone pulls an officer out of his vehicle after a police chase, and proceeds to beat him… The bad guy had all intentions of causing serious bodily harm to the officer. That in and of it self warrants lethal force to defend his life. 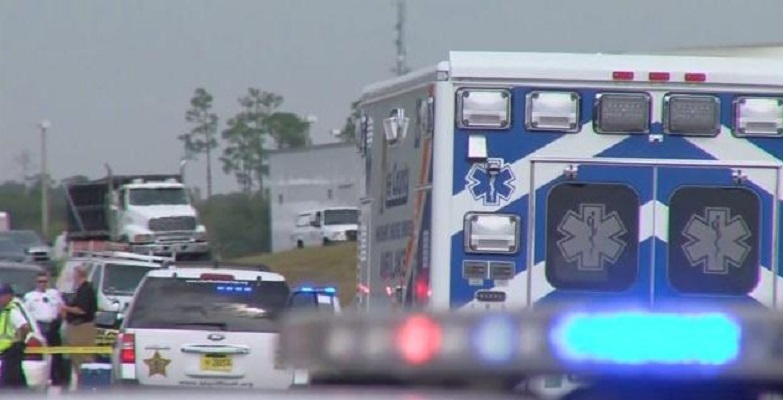 A suspect is dead and a deputy is in the hospital after a shooting took place on I-75 near the Corkscrew Road exit, according to Lee County deputies. Witnesses saw the whole thing happen. They tell us a deputy tried to pull over a man on I-75 near the Corkscrew Road exit. The suspect took off in his vehicle reaching speeds up to 100 miles per hour. Eventually, the driver got out of his car and attacked a deputy. That’s when witnesses say a third person came over and shot the suspect. “My husband was honking his horn to try and stop the guy to get some attention from him, and another guy with a blue shirt came out with a gun,” said Shanta Holditch.